North Dakota oil production is on pace to break the state's previous record, and that means additional crude takeaway capacity will be needed soon. Speaking to the Vision West Consortium this week in Beulah, Department of Mineral Resources Director Lynn Helms said completion of the Dakota Access Pipeline was "a fantastic breath of fresh air" for the industry, but DAPL will be full by mid-2020. Helms said that means producers will be forced to once again resort to moving crude by rail or find another way. Helms said natural gas production also continues to climb. "Natural gas wise, we're blowing the lid off this thing," he said. "We really are struggling to figure out what to do with all that gas." 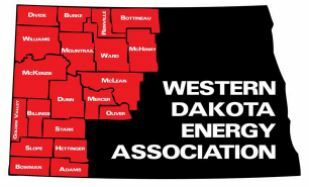 Helms said North Dakota producers now have to undercut Canadian suppliers to get their natural gas in a pipeline. But by 2026, there will be so much Bakken gas the pipelines will all be full. Current production is about 2.1 billion cubic feet per day, but Helms expects that total will eventually double. Click here for a rundown of production statistics in Helms’ latest Director’s Cut. North Dakota's oil and gas industry has already invested $127 billion in the state, but industry regulators say there's much more to come. Lynn Helms, Director of the Department of Mineral Resources, predicts that over the life of the play, total investment will approach $600-to-700 billion. "If this was a football game, we're just coming to the end of the first quarter," Helms said, "so most of the game is still in front of us." Helms estimates producers have already sunk $100 billion into wells drilled and completed, another $11 billion in wells drilled but not yet completed, and about $15 billion in gas processing facilities and crude oil and natural gas pipelines. 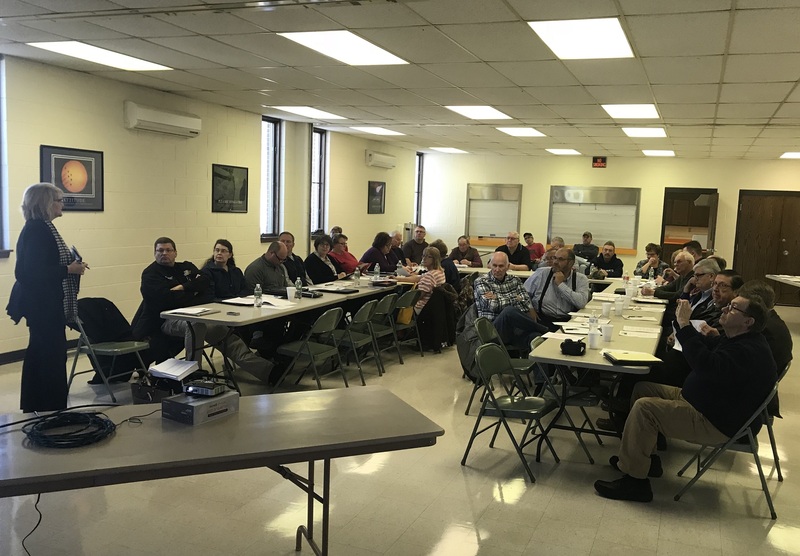 Operators of WDEA's LoadPass oversize truck permit system are continuing their outreach in non-oil producing counties, encouraging them to consider joining the system. The latest presentation occurred at a six-county gathering Tuesday in Linton. LoadPass operator Janet Sanford and WDEA consultant Brent Bogar explained the benefits of the system to attendees from Emmons, Foster, Kidder, Logan, McIntosh and Wells Counties. Earlier this year another group of counties in southeast North Dakota heard the presentation at a meeting in LaMoure. 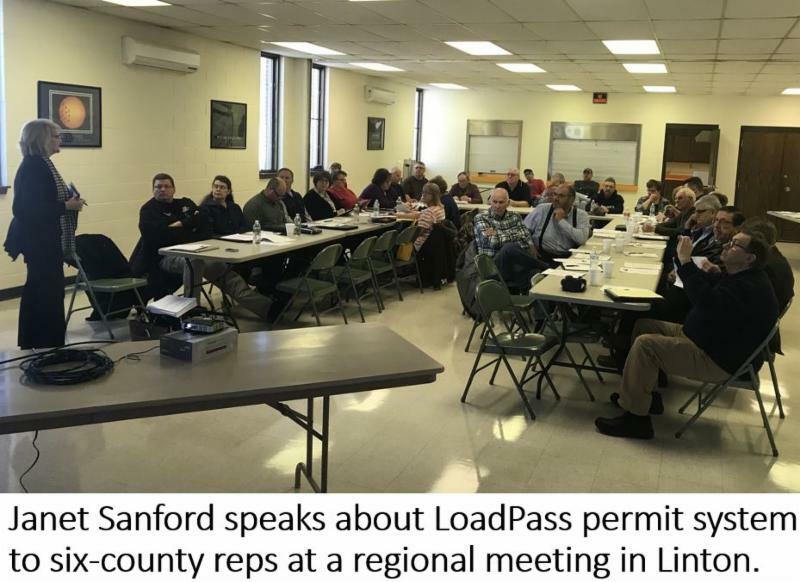 "LoadPass offers a way for counties to keep track of oversize truck movements on their roads, helps them protect their roads from unnecessary damage, and provides some revenue to help pay for ongoing maintenance costs," Sanford said. Emmons County was the first non-oil county to join LoadPass in 2015. This year, Grand Forks, McHenry and Traill counties have decided to sign up for the LoadPass system. 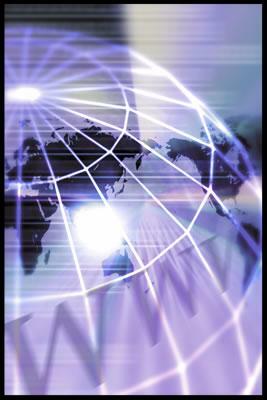 Additional regional outreach meetings are planned later this spring. Check out the LoadPass website for more details. Counties in western North Dakota have begun to impose weights restrictions on roads to prevent damage in the coming months as frost comes out of the ground. Stark and Hettinger Counties announced enforcement will begin Monday, March 19. Other counties are expected to impose similar restrictions in the next week or two. Restrictions typically limit loads to 6 tons per axle and limit gross vehicle weight to 80,000 pounds. 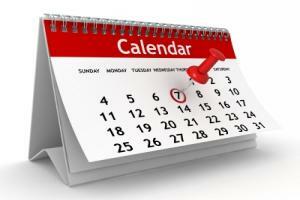 The restrictions remain in place into the month of May. Click here for details about Stark County restrictions. Click here for details about Hettinger County restrictions. 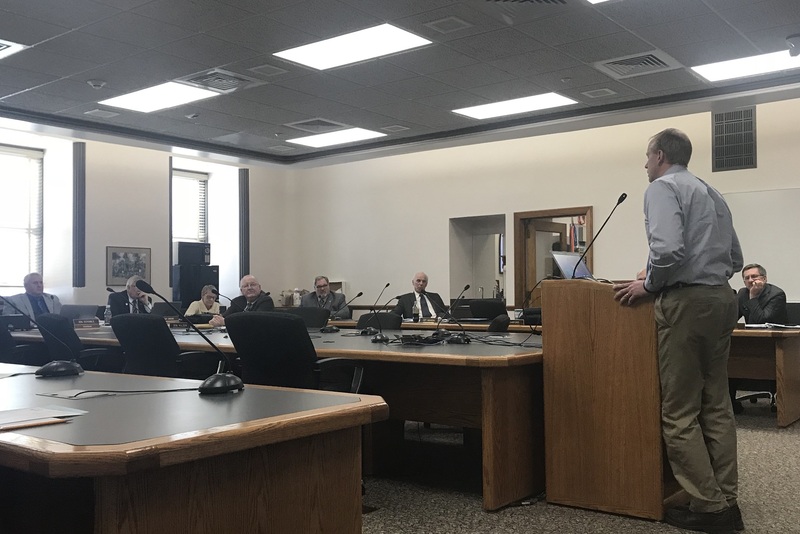 A legislative committee studying North Dakota’s education funding system is struggling to find an equitable way to ensure all of the state’s school districts, both large and small, are able to provide an “adequate” education for their students. The legislators’ task is complicated by the fact the state has some districts with rapidly growing enrollments, while others continue to see a slow decline. One of the main challenges the committee is charged with studying is accounting for the use of “in-lieu-of” taxes, which for districts in oil-producing counties, mainly means gross production tax (GPT) revenue. 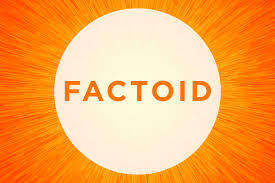 The state’s Foundation Aid distribution formula now requires that 75% of the GPT revenue a district receives is imputed (deducted) from its state aid amount. School administrators would prefer that percentage be smaller to better reflect the portion of GPT revenue earmarked for school construction projects or debt repayment. At its meeting this week, the interim Education Funding Committee heard an explanation of a possible revision to the formula that calculates “imputed taxable valuation,” another method to account for in-lieu-of revenue. The concept will be explored further at the committee’s next meeting May 8 in Fargo. The McKenzie County School District is putting out the word that it wants to hire additional teachers. The district has produced a flyer that promotes attractions in the community, as well as the salary and benefit package offered by the school district. The flyer touts the new high school in Watford City, as well as the adjacent Rough Rider Event Center, newly remodeled elementary school, plans for a new tech-ed facility, and the city’s new hospital complex scheduled to open this Spring. Education leaders are being invited to a series of upcoming meetings to enhance their understanding of North Dakota’s K-12 Public School Funding mechanism. 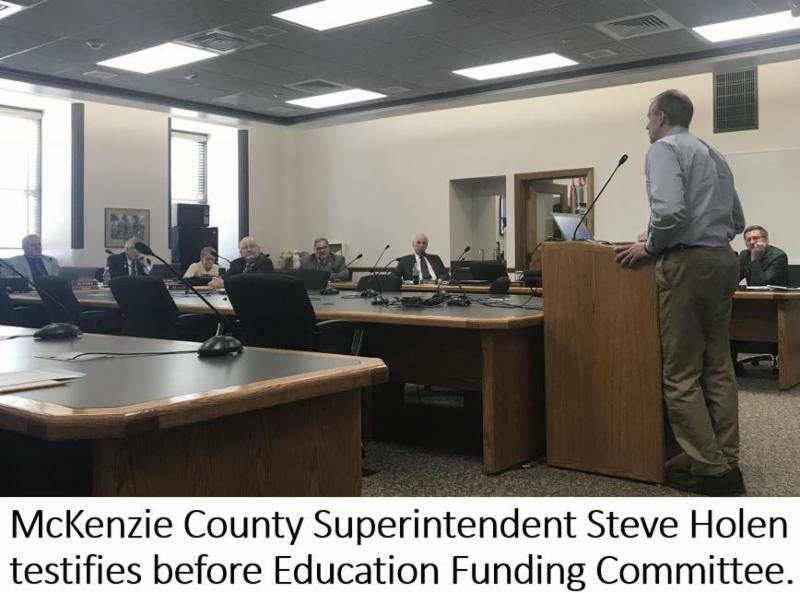 Working in partnership with the state legislature, the ND Council of Education Leaders is offering the same training developed and offered to the interim Education Funding Committee. Presentations will be delivered by two area superintendents who are well versed in the formula. A session is scheduled next Tuesday, March 20, beginning at 10:00 a.m. at The ARC in Williston. Another meeting will be held Thursday, March 22, beginning at 10:00 a.m. at the Central Administration Offices in Dickinson. 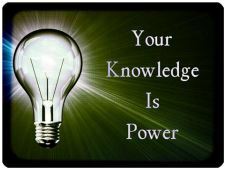 Education leaders in the Minot area can attend a session April 4 at 2:00 p.m. at the Eric Ramsted Middle School Library. Click here to see the invitation from NDCEL. 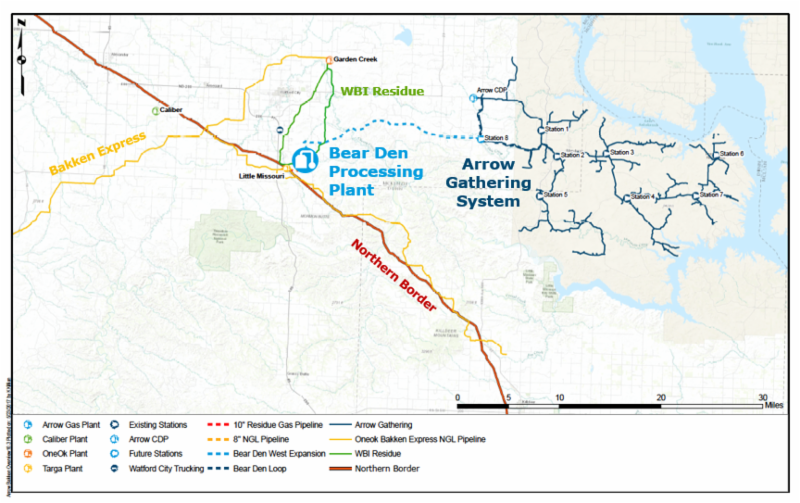 The ND Public Service Commission has approved a construction permit for the Arrow Bear Den Gas Processing Plant II near Watford City. The permitting process began in November 2017 to support Crestwood Arrow's gathering system on the Fort Berthold Indian Reservation. A new 25-mile long pipeline will bring product to the plant. In December 2017, Crestwood announced the Bear Den Plant Phase 2 expansion that will increase processing capacity. The Phase 2 expansion is expected to cost approximately $195 million and be in service by the third quarter of 2019. 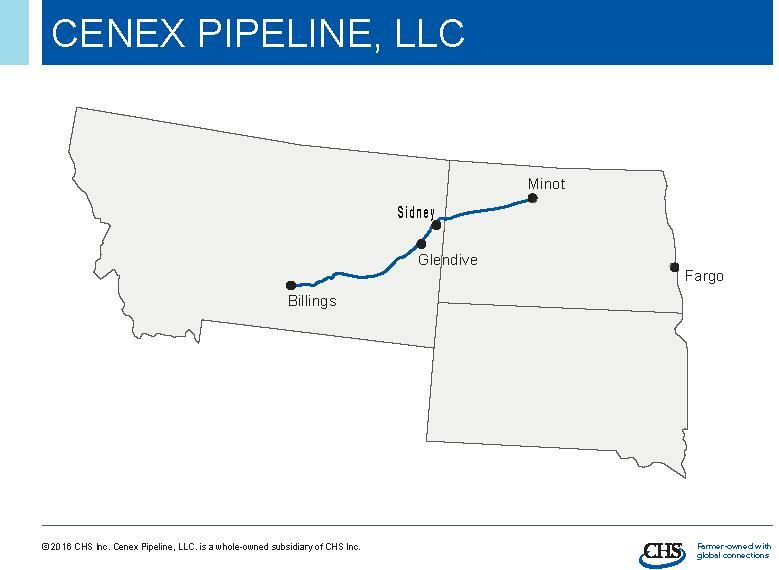 The ND Public Service Commission has given the go-ahead to Cenex to upgrade a diesel fuel pipeline between Sidney, Montana and Minot, North Dakota. The existing 150-mile, eight-inch diameter pipeline will be replaced with a 10-inch line. The upgraded infrastructure will allow Cenex to expand the carrying potential of the pipeline to 60,000 barrels a day from the initial upgraded level of 38,000 bbl/day. PSC Commissioner Randy Christmann said there were many good reasons to approve the two projects. "It will mean fewer trucks, less flaring, increased safety, $251 million of investment, and increased energy security for the USA," Christmann said. Click here to read more about the two projects from the Associated Press. Click here to read more about the pipeline from the Williston Herald. 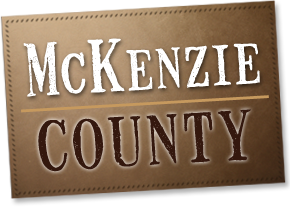 The March " Economy at a Glance" from McKenzie County gives further evidence that the regional economy is experiencing solid growth. Daniel Stenberg, McKenzie County Economic Development Coordinator said he sees encouraging signs in the recent growth in sales, and sales tax distributions - funds that come back to the city after they are remitted to the state by businesses that collect them. He said in February the city saw sizable year-over-year increases in tax distributions from lodging, restaurant sales and other categories. "The pace is picking up," Stenberg said. "The gas plants are starting construction, or will soon be starting. That means in the long term we'll see stable and sustained growth." He said four gas plants are to be built that will continue to reduce flaring as they capture and market natural gas. The Oasis gas plant, called Wild Basin, is already under construction. The combined construction costs of the four projects could pump nearly a billion dollars into the economy. 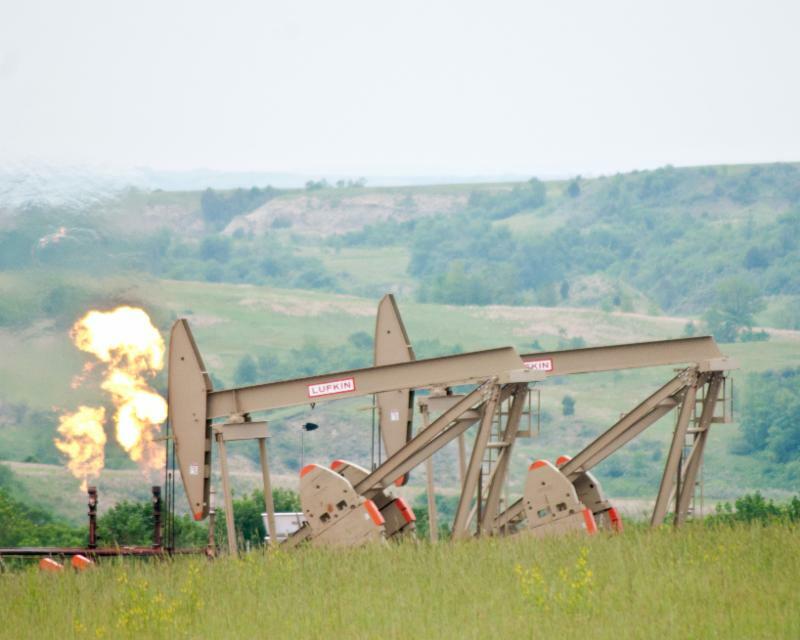 The “boom” in Bakken oil production took off in Mountrail County before anywhere else. Mountrail’s production soared from just 30,000 barrels in August 2006 to nearly half a million barrels by January 2008. The pace accelerated that year, pushing Mountrail County’s production to more than 2 million barrels in October 2008, or roughly triple the amount produced by any other North Dakota county at that time.